We offer repair, renting and sales services for Apple, DJI, GoPro, Parrot devices. It is our main purpose to ensure professional services and the highest level of competency, so we can continiously fulfill the customer needs. The key of our success is that we have combined the quality and professionalism of Apple with our repair, renting and sales services, so you can enjoy the capabilities of your device every day without any compromism. We are providing repair services for iPhone, iPad and MacBook devices as well as the complete maintaince and upgrading processes for personal or business use. Our specialists can be fast, flexible and mobile if it is needed. For 10 years now our specialists are providing repair services for computer, tablet and telephone devices. We can proudly say that we are the number one company in Apple motherboard repair service. We can ensure full repair service for iPhone, iPad, iPod, MacBook, iMac, Mac mini, Mac Pro and also for other Apple devices. We can provide solutions for the most extreme damages including broken screens, water damage or motherboard failure, thanks to the ESD protected environment and the latest equipments. Our repair process is short. We ensure 90 days warranty for the spare parts. 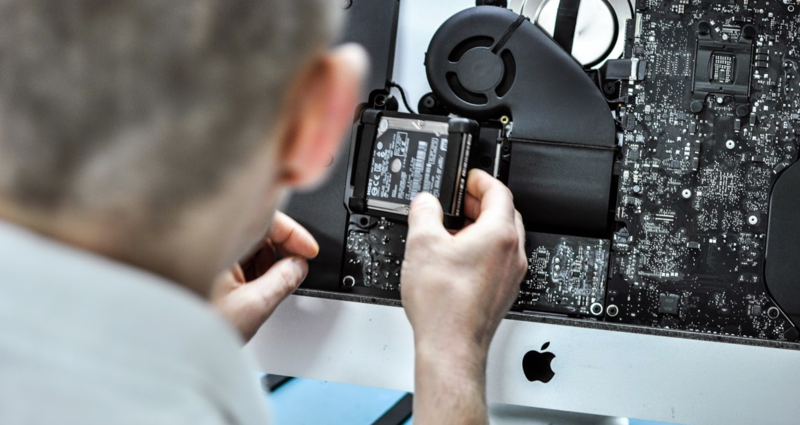 Our specialists do everything they can in order to bring your favorite device back to life. If we do not succeed with the repair we can buy the parts of your device, or we can include it in one of our products. Try us! Do you have any feedback? Contact us!